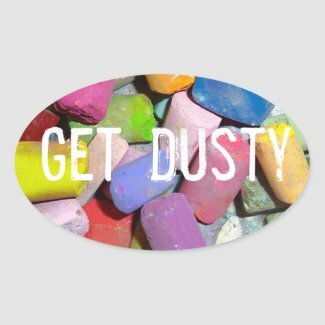 Inspiration and painting ideas come to me in some unusual ways. Yesterday I made a stop at one of my favorite thrift stores on my way home from errands. I took a quick glance through the books as I always do and was excited to find a book on Van Gogh's flowers. I was tempted to put it back. 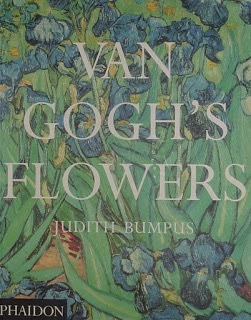 I have so many books on Van Gogh and I was pretty sure I had one on his flowers......but maybe not this same book. So I quickly leafed through the pages. One particular painting stopped me in my tracks. 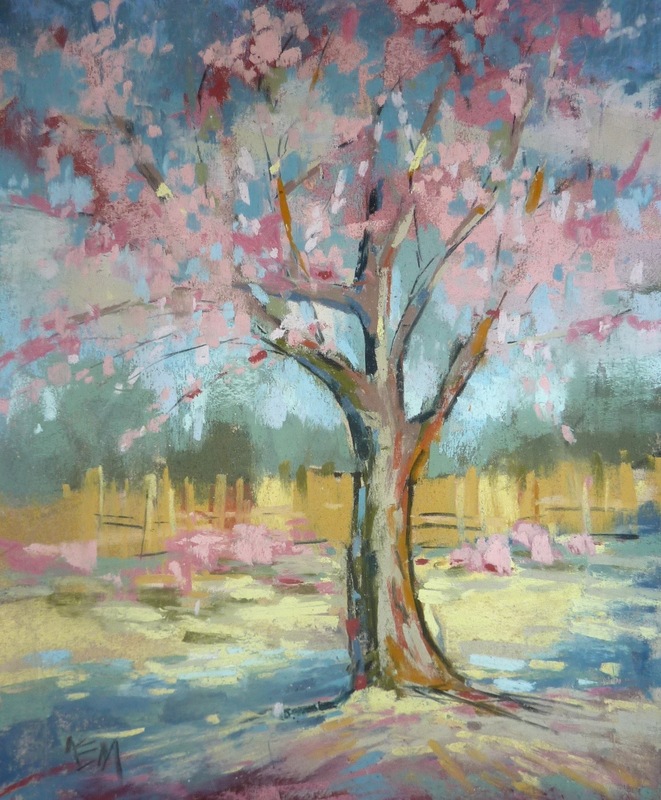 It was Van Gogh's 'Pink Peach Trees'. I didn't remember ever having seen it before but it called to mind the wonderful colors of our Georgia Spring. In fact I immediately thought of my front yard and my cherry trees that are in full bloom. I was inspired! The book went into my cart and I rushed home to so I could paint. 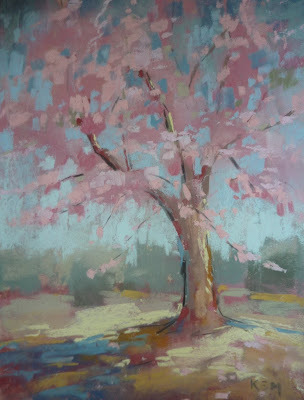 I decided that I would be guided by Van Gogh's peach tree and use his same palette of colors. 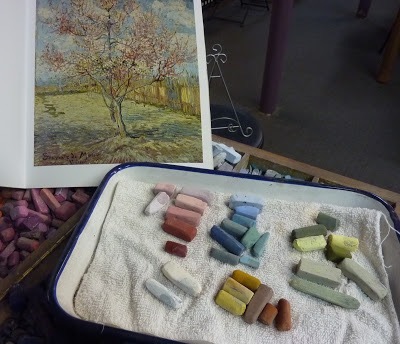 I chose some pastels that were close to the colors I saw in Van Gogh's painting. I dove into the painting and just let go. I let myself glance at the painting in the book form time to time but mostly I just responded and let my own cherry tree emerge. I had so much fun that I painted another one. It was such a fun experience....acting on unexpected inspiration! Very Nice! Thanks for sharing! Gotta try that! Love this! It could have been me writing though, as I can't resist a Van Gogh book either! I have loads of them, including the fabulous one of his flower studies. You never know where you'll find inspiration! Beautiful tree. The colors seemed a little muted but once I read the article I understood why. Fascinating!